For the last 24 hours, I’ve been listening to and then – singing in public – the new Daft Punk song. And tonight marks the second consecutive night I’ve headphone-danced to it in private. (Cliche ahead:) this song isn’t just catchy, it’s infectious. Daft Punk is using their old tricks with new games. What else makes this track sound so great is how much it sounds like disco. The electric guitar and piano choruses are like orchestral strings, one of disco’s backdrops. And the synths they use are just their own machinery – looping back around like good comedy. They also released the track listing for their new record by Vine – which is weird – and didn’t include any sound on it. So, they’re probably messing with us. JT has style, but Daft Punk is just doing it better (with the help of Pharrell?) Every song drops the bass now, even Taylor Swift. But the glory of doing it in the vocals, on the song title, at the return of their vocals is pure wit. And The Punk are the smartest dudes in the room. The single “Get Lucky” featuring Pharrell Williams is out now. 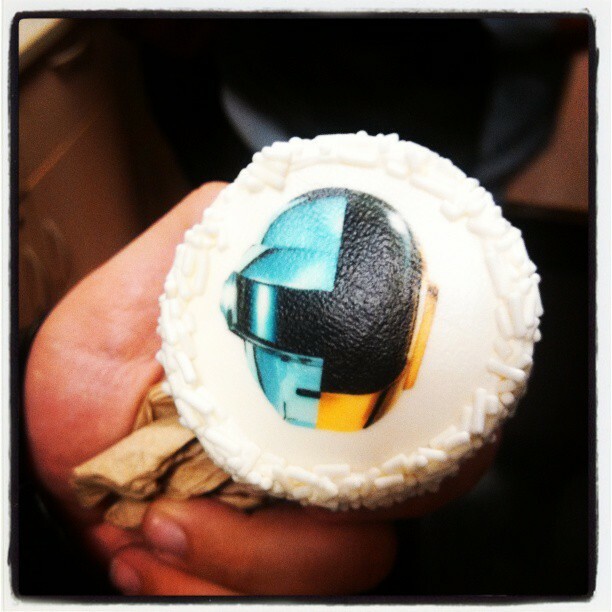 Random Access Memories comes out May 21st on Daft Life Limited. Or, stream the track here, here and here. Daft Punk is about to be everywhere, and I can’t wait.